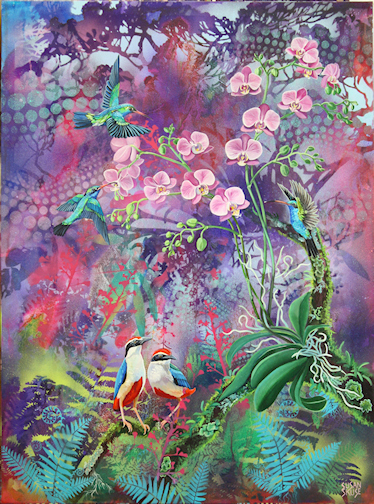 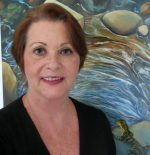 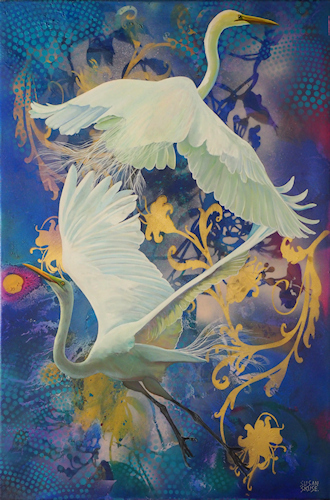 Susan Skuse first trained as an artist in the 1980’s and has more recently completed degrees in Fine Arts and Philosophy. 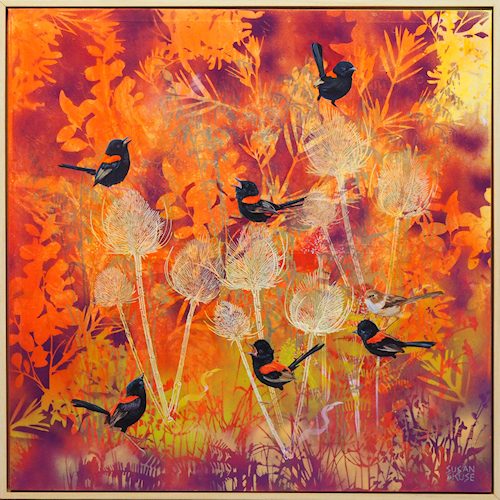 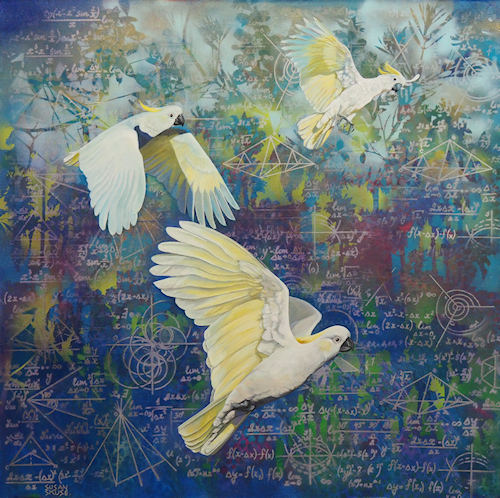 Her current series of work brings together a diverse range of influences including Asian philosophy and traditional art, textile pattern, bird-watching and the phenomenology of perception. 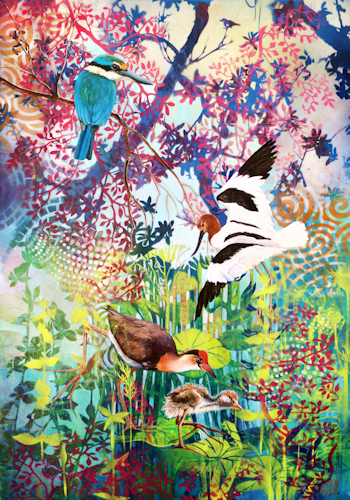 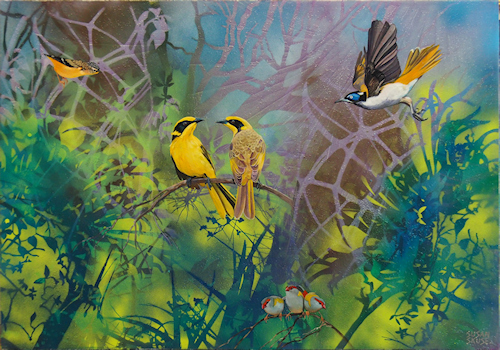 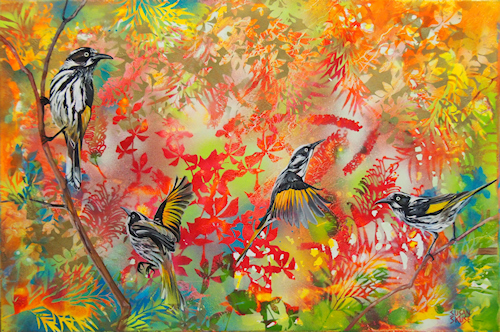 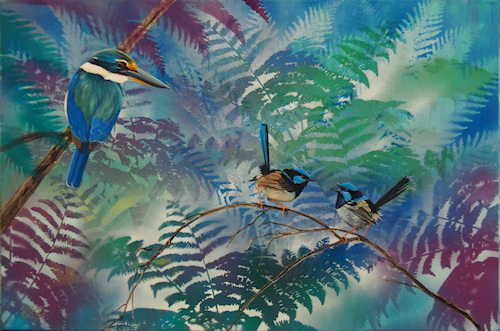 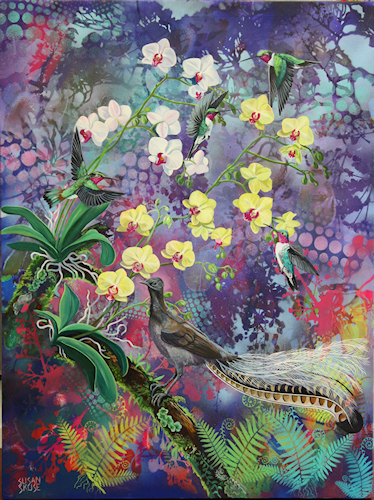 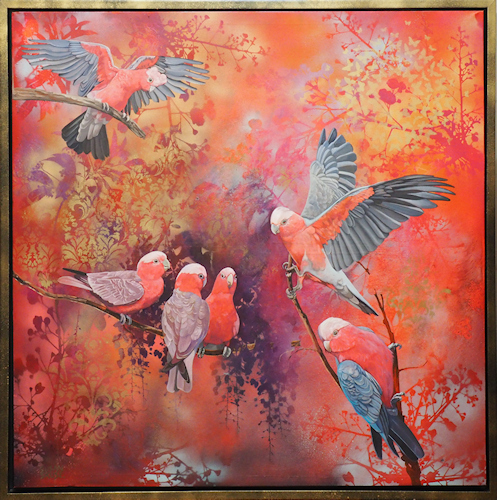 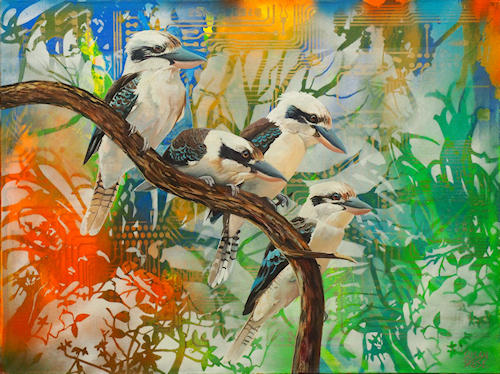 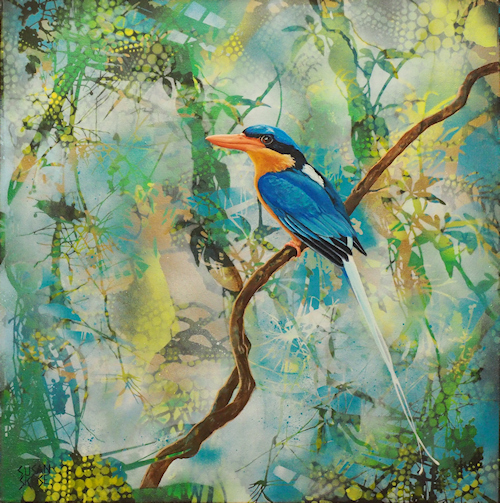 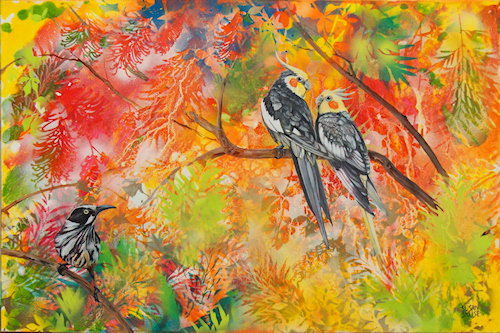 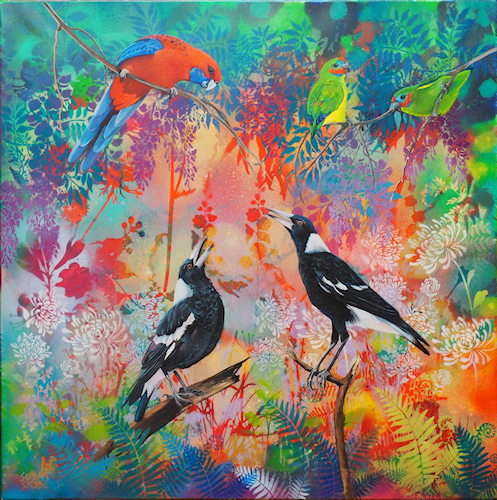 The works on show are produced with layers of colour and pattern combined with realistic depictions of Australian birds.